Death and his pal War team-up to save the day this year in Darksiders: The Abomination Vault, a series prequel that takes place a millenia before the opening credits of the first game. Death might be a new player in Darksiders II, but he's been around as long as people have been dying, giving author Ari Marmell (The Conqueror's Shadow, The Goblin Corps) plenty of material to work with. In this particular heroic tale of anti-armageddoning, Death and War (buddy cops) team up to thwart an evil plan to resurrect ancient weapons of mass destruction and thus plunge the universe into a horrific conflict. You know, now that I think about it, the entire Darksiders series seems to be about the great length the apolcalyptic horsepersons will go to avoid doing their actual jobs. 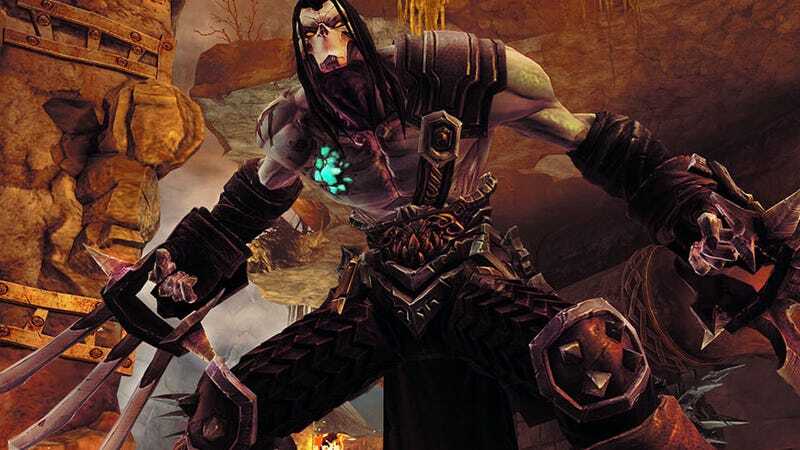 Darksiders: The Abomination Vault will release alongside the eagerly anticipated Darksiders II later this year. Random House is handling publishing duties, while Random House Worlds, the publisher's intellectual property building division, will be responsible for developing the series bible for the Darksiders universe.